Sell Your Used Aesthetic Lasers To MedLaser USA. We Buy Used Aesthetic Lasers & Medical Equipment. Sell MedLaser USA your used aesthetic lasers and medical equipment for cash or trade-in credit. MedLaser USA will take all the hassle and headache away and provide cash offers for your aesthetic laser equipment. Looking to purchase a new aesthetic laser? We also offer trade-in cash credits to apply on a rental, lease, or purchase of new or pre-owned device of your choice. In this guide, we’ll help you identify the most import steps for selling your aesthetic laser and medical equipment to MedLaser USA. We understand you may have paid a good deal for your aesthetic laser & medical system. This is why we are dedicated to best serve you and offer a fair value for your equipment. We pride ourselves in making the transition easy, as it’s our goal to put cash in your hand and handle the entire transition seamlessly for you. If your open to a trading in your equipment, and putting your systems value towards new aesthetic laser equipment we can provide this option as well. It doesn’t matter whether you’re looking to buy or sell your aesthetic laser equipment, MedLaser USA can help you with the entire process. We will give you cash offers for your aesthetic lasers and medical equipment contact us today for an offer! Receive A Cash Offer For Your Used Aesthetic Lasers & Medical Equipment Today! -Trade in cash credits -Cash offers -Recycling medical equipment and aesthetic lasers -Selling Your Aesthetic Lasers and Medical Equipment To MedLaser USA Let’s face it, selling your aesthetic lasers and medical equipment can be an expensive & time-consuming process in itself. If you haven’t yet thought the process all the way through, or you just don’t want to take on the financial risk or liability selling your equipment yourself, then it will be important to make sure your working with the best company who has your best interests and we would like to assist you. Many customers can feel overwhelmed with the process of selling their aesthetic laser and feeling they have to do it all themselves. It can be worrisome feeling like you can’t sell your equipment just watching your equipment sit and depreciate. In any case, it doesn’t do anyone any good to just park the equipment in storage and collect dust either. We will provide cash offers for your equipment by selling your aesthetic laser to MedLaser USA. If your aesthetic laser equipment is not being used, or sitting in the closet, it’s time to ask the honest question of whether or not it’s worth selling or not. If you’re in need of selling your aesthetic laser for your business, it could be a great time to cash in and sell your aesthetic laser to us. If the age of your equipment is outdated and is a device we can’t offer any cash or trade-in value for we also offer the opportunity to recycle your aesthetic lasers or medical equipment. Trade-In Your Used Aesthetic Lasers and Medical Equipment for Cash Offers or Credit. Identify age, model & physical condition: Note of all details and accessories. Clean equipment and all accessories : Do your best to restore equipment back to the original condition. Put aside any user manuals : Gather any system protocols, manuals, or marketing brochures to include. It’s important to identify all of the specification for your aesthetic laser equipment, and put together a detailed list of all the assets and accessories that you would like to sell. Consider whether or not the equipment is in good condition and if it still being used by medical professionals in the industry today. If it is not currently being used then it is best to consider sending us the equipment for recycling. Unfortunately, as time passes, and systems become discontinued, this will eventually happen with most equipment. It’s important to set personal feelings aside, and understand that accepting the original purchase price you once paid likely has no direct correlation with the actual fair market value today. In fact, every day the value of your equipment slowly depreciates. It could be pennies, or dollars, but as they say, an asset is only worth as much as someone who’s willing to pay for it. When we see advertised pricing online, it can provide a false perception of the actual resale value of equipment. We provide fair market cash offers and trade ins when you decide to sell your aesthetic laser to MedLaser USA. Before you prepare to sell any of your aesthetic laser systems or medical equipment to us, you will need to do a little house keeping first. It’s vital to clean and maintain your equipment and do your best to bring them back to as good as new. If you are selling a used laser, it’s important to clean everything. When doing so, always make sure to use the proper cleaner to protect the device and equipment surfaces. If you’re not sure what chemical formula to use, just use a light mix of soap and water on the outer shell with a damp cloth or paper towel. Make sure to wash the wheels, lightly wipe down the entire unit, and most importantly never use any liquid or chemicals on the screen. This can destroy an LCD touch screen in seconds and make it totally inoperable. Instead find and use a dry, dust free cloth to clean any surfaces in question. Never spray the equipment directly with chemical cleaners, as many devices have vents for air circulation, you don’t want to have any chemicals reach inside. Cleaning the equipment before taking pictures will ensure we can truly assess a fair offer on your equipment. It is also much easier for us to assess how well the equipment was maintained when it’s clean and looking its best. The overall physical condition may need to be factored into our purchase price being in optimal condition. Take High-Resolution Photos of Your Aesthetic Laser Once you have cleaned up your aesthetic laser and it’s now looking good, it’s time to take photos. Always make sure to take four to five good photographs of the equipment at different angles (front, back, side views, and screen on). Also take pictures of any hand piece attachments, lenses, system operating screens, shot counts, software models to provide all of the information necessary. Use a good digital camera to get several clear shots of the equipment. You may want to have someone help you take pictures of the equipment as you photograph it so you can show that the equipment is in good working condition. It’s also a good idea to take a short video on your phone if you have the ability to do so, the more documentation you have, the better we can assess our cash off when selling your aesthetic laser. The images should also only show the equipment and listed accessories that are for sale. It’s also important to note any damages or issues with the equipment when submitting us the details. Take pictures of any scuffs, scratches, dents, or damage will help us provide a fair offer to you. The more details you provide us the better we can assess a cash offer. In fact the more details you provide can actually increase our cash offer. It’s important to also identify any costs necessary for any secondary owner to acquire, own, and operate your equipment. A big factor we consider when providing cash offers for your laser equipment is possible re-certification fees. Will the next owner of your aesthetic laser or equipment be able to receive parts and service for the device you are selling? Re-certification fees are a nightmare for buyers of second hand equipment. Because of this detail, re-certification fees play a factor in cash offers and trade in value. To better understand, we need to discuss what actually is a re-certification fee? How does this impact me selling my aesthetic laser? A “Recertification Fee” is an arbitrary fee imposed by laser manufacturers and serves as a penalty for after-market buyers. It can range in cost anywhere from $25,000-$50,000 to have the manufacturer perform a preventative maintenance and to reassign the ownership for the laser. Only after the recertification fee is paid can an aftermarket owner acquire parts and service from the original manufacturer. Why do many manufacturers do this? It’s because they want to bully consumers from purchasing pre-owned equipment on the open market. They figure if they can assign some arbitrary fee, in addition to the cost you pay for the second-hand device, they can close the gap between the price of used vs. new and bully or convince you to purchase new rather than used. This can have a huge effect on the seller’s price, because who wants to buy a used system to get a deal, if they have to spend $50,000 after they buy a second-hand device. If you don’t your system can be considered in many cases obsolete. What good is a device if you can’t get parts or service when you need it? This is not something manufacturers advertise, so if you are looking to sell your aesthetic laser contact the manufacturer to see if they are willing to waive the fee. If not, then we will have to discount the equipment in order to make sure the device is priced to account for the re-certification fee and still be worthwhile for a potential second hand owner to buy. This very important detail will also impact our cash offer when selling us your aesthetic laser or medical equipment. All consumers can benefit from a user manual and list of protocols if originally provided with the device. Believe it or not, many manufacturers will not provide secondary owner’s manuals if they have discontinued their equipment. Manufacturers are only required to support equipment for 7 years after the last manufacturer date. This means if you’re looking to purchase a device that’s 7 years old or greater, you realistically might not be able to get parts much longer. This is why many of the older devices on the market continue to reuse second hand parts on older devices. This means if your device does break, you’re likely getting an old part installed in your device or it could be a similar part that wasn’t even designed for your equipment. User manuals provides important information on ‘how to use a product’ to end-users. With proper use of a device there is much less risk of bringing the device out-of-order unintentionally, thus leading to lower cost or expenses related to it. Do your best to help us help the next person looking to acquire your device, you wouldn’t want someone to skip over a small but very important detail like forgetting to include a user manual. 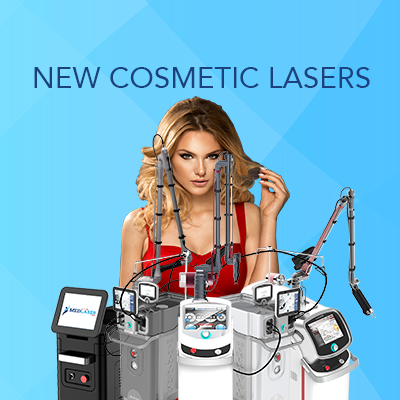 MedLaser USA purchases all types of cosmetic and aesthetic lasers additionally many other types medical equipment for our refurbishment process. Through both new and used aesthetic laser systems and medical equipment we are able to offer the most affordable and advanced solutions in the entire industry. Whether you are looking to rent, lease, or buy your next aesthetic laser equipment or would like to trade-in your existing equipment we are here to assist you. 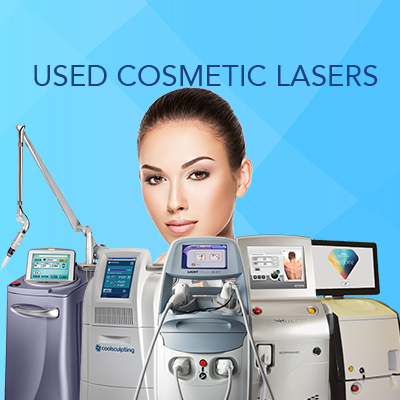 To sell your aesthetic laser equipment today, please reach us at 888-284-2486 for cash offers or inquiries. We promise to deliver a solution that suits your needs and meets your budget.